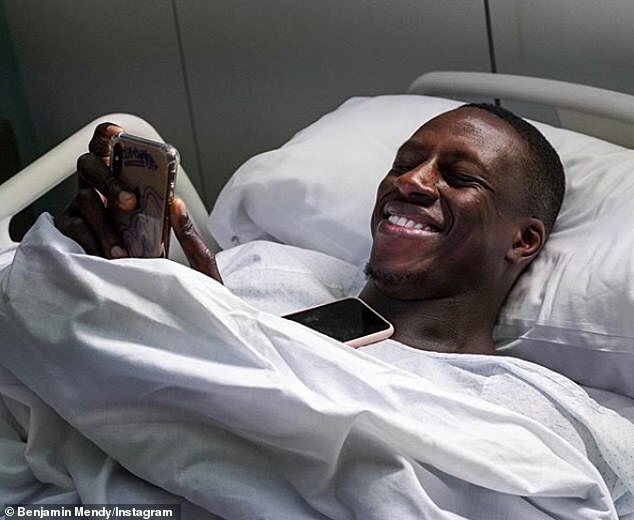 Benjamin Mendy faces another lay-off with knee problems after the Manchester City defender had an operation in Barcelona on Wednesday night. 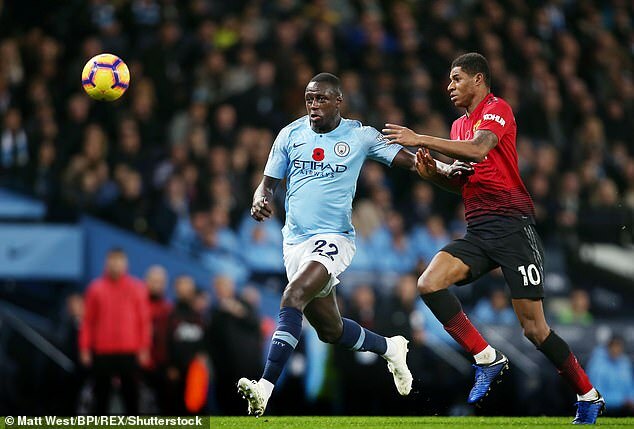 Mendy played 90 minutes in the Manchester derby on Sunday but withdrew from the France squad the following day. The 24-year-old full-back was sent to be assessed by City’s surgeon Dr Ramon Cugat in Barcelona and underwent surgery on the cartilage meniscus in his left knee. 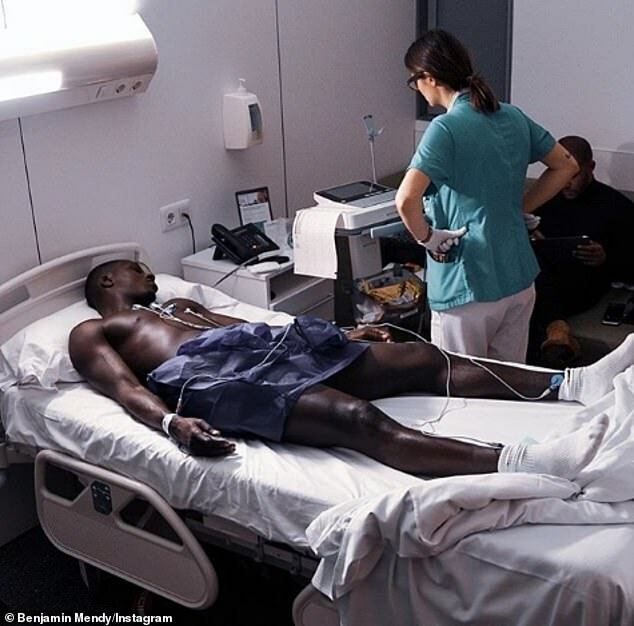 The problem is not connected to the ruptured anterior cruciate ligament in Mendy’s right knee that he suffered in September last year, restricting him to just eight appearances in his first season at City after a £52million move from Monaco. The latest injury is understood to be less serious, although it’s unclear how long the Frenchman will be out for this time. Mendy has started 10 of City’s 12 Premier League games this season as the champions have stayed unbeaten at the top of the table. His absence will be a big blow to Pep Guardiola, although the City boss can call on Aymeric Laporte, Fabian Delph, Danilo or Okeksandr Zinchenko to deputise at left-back. The club used a statement on Wednesday night, saying: ‘Manchester City can confirm that Benjamin Mendy has undergone surgery on his left knee tonight. ‘The Frenchman, who played the full 90 minutes in the weekend’s 3-1 win over rivals Manchester United, travelled to join up with his national team before withdrawing from the squad. ‘The 24-year-old defender attended Dr. Cugat’s clinic in Barcelona where scans revealed that surgery was required.